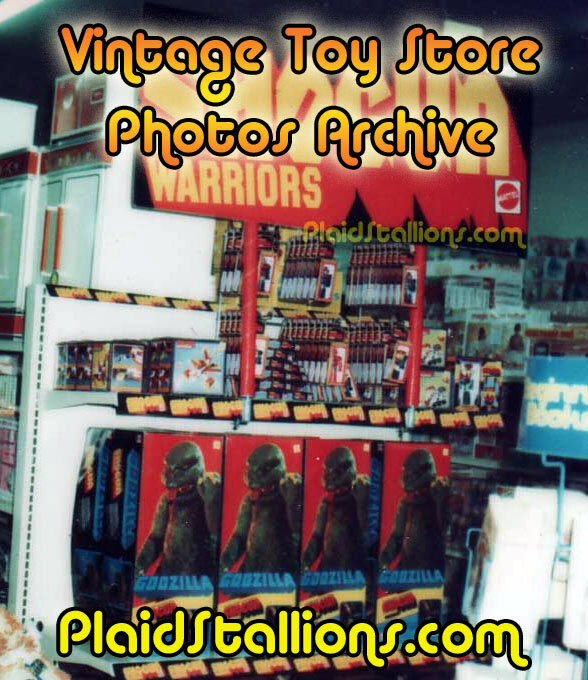 If you're digging this page, please visit our Index of Previous Vintage Toy Store Galleries for much more. DISCLAIMER: All of these photos shown are my property, I paid (sometimes waaaay too much) for a lot of these and own them. If you do want to share them on your blog, facebook group whatever, all I ask is you give a source link back, that's it. Please don't photoshop out the logos and pretend you found them (You know who you are, guy on facebook), it's really not cool. 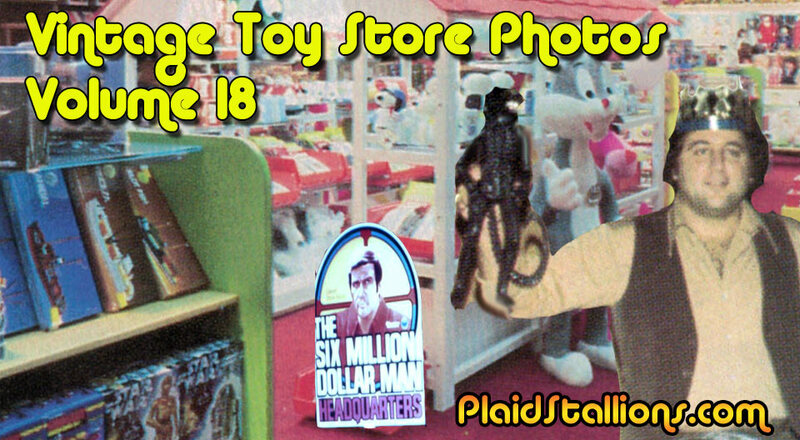 ALWAYS BUYING VINTAGE TOY STORE PHOTOS FROM THE 1970s or 80s! 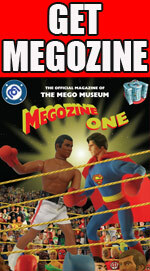 IF YOU WORKED FOR MEGO, KENNER, HASBRO, IDEAL, REMCO, AHI, LARAMI, GALOOB OR YOUR FAMILY OWNED A TOY STORE. 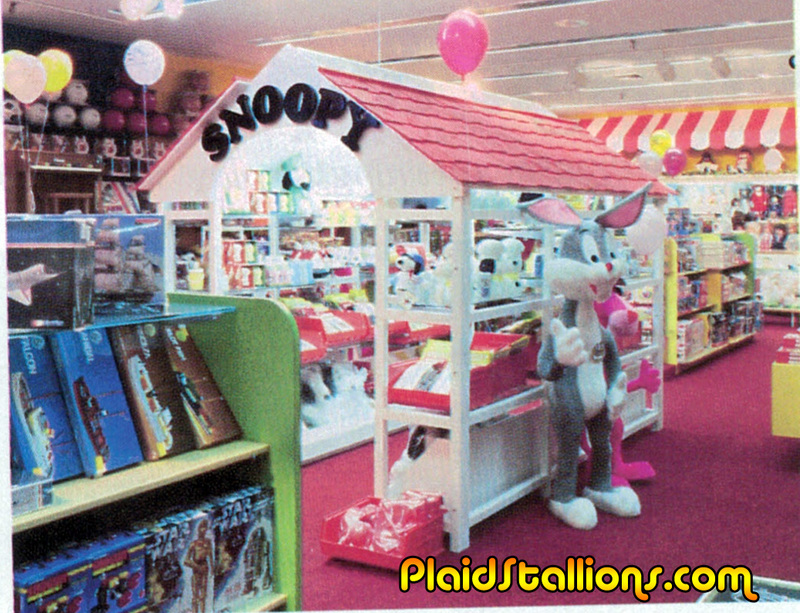 I'D PAY GOOD MONEY FOR ANY PHOTOS OF VINTAGE TOY STORES AND DISPLAYS. PLEASE CONTACT ME! I love this home made "Bionic Center" using Kenner head shots of Steve Austin and Jaime Somers, I have no idea where this is. 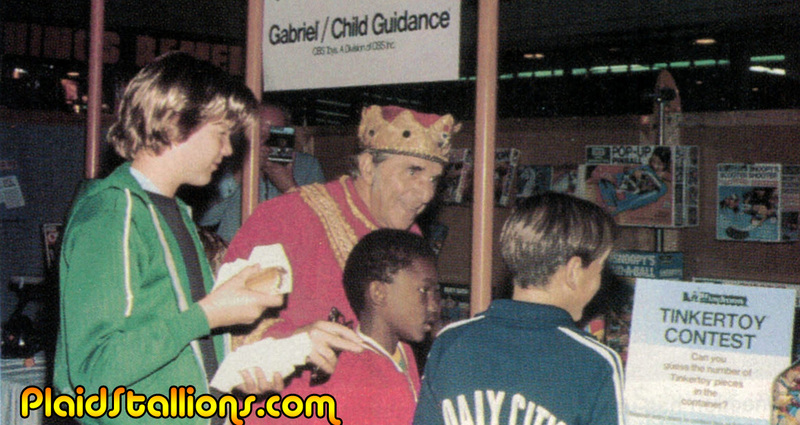 San Jose, California Toy Store Legend King Norman with his loyal subjects around 1980, the store often held events where kids could win toys in contests. 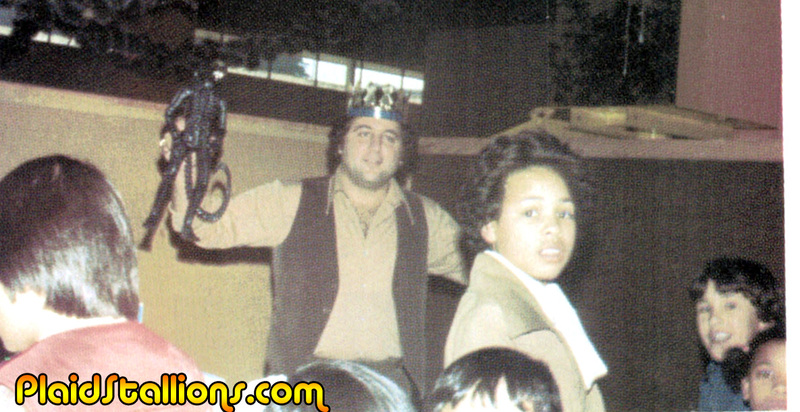 Another shot from King Norman's, a rep from Kenner is showing kid's the latest, the Alien. 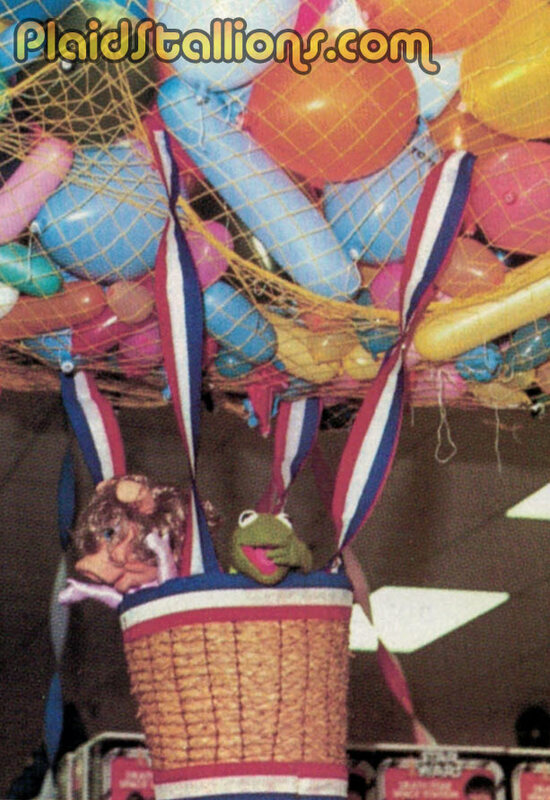 King Norman organized a toy show in the mall the weekend before Thanksgiving 1980 and managed to get representatives from over 40 toy companies to attend, amazing. 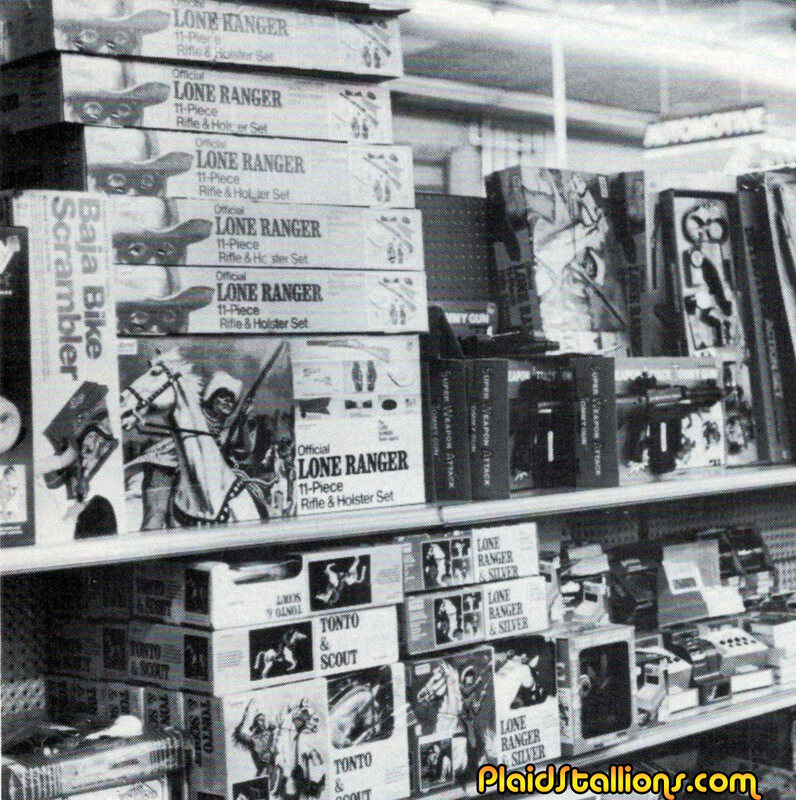 I'm loving this display of Gabriel Lone Ranger toys from 1981. 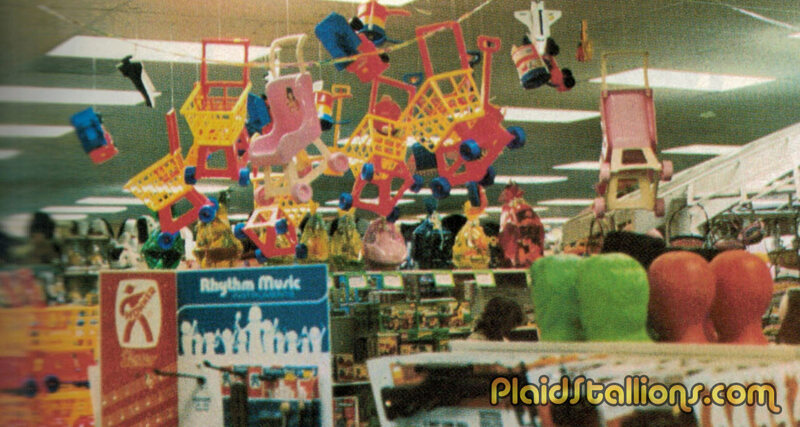 This is Toyland, specifically the Valdosta, Georgia location. 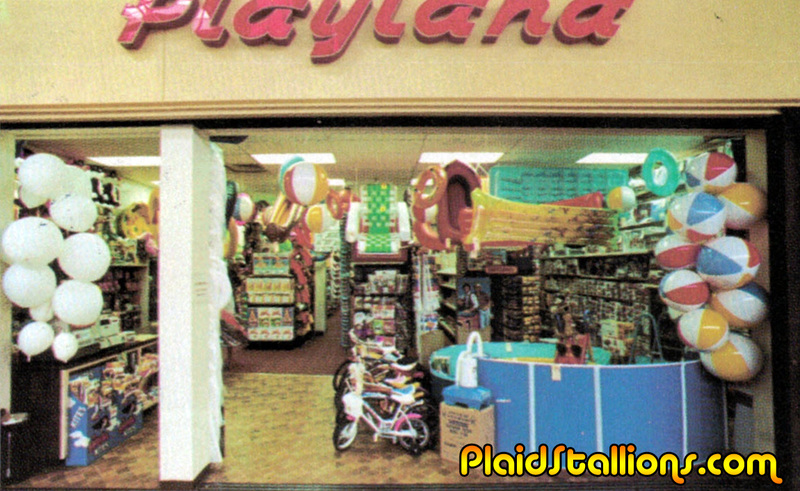 At it's height, Playland boasted more then 22 stores in Georgia, Florida and Alabama. 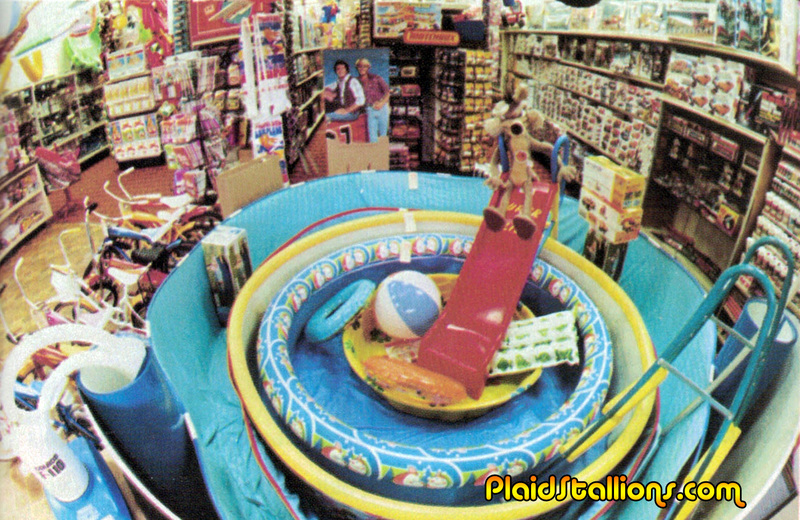 Here is a better shot of the interior of PlayLand, it's not surprising so much space is given to pools in a hotter climate chain like this. 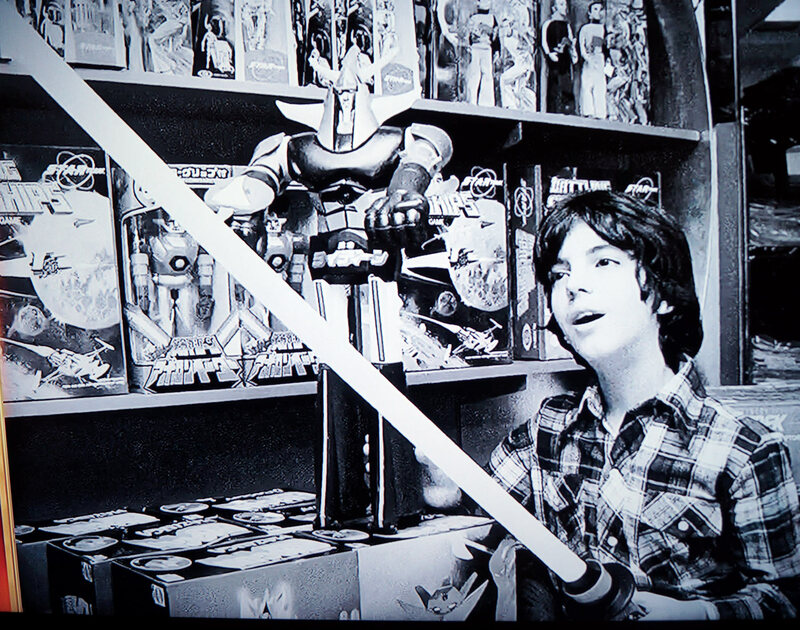 This is the Atlanta FAO Schwartz store in 1980, I can't help but notice the Shogun Warriors toys and Star Wars models. Here's the outside of that FAO store in 1980. 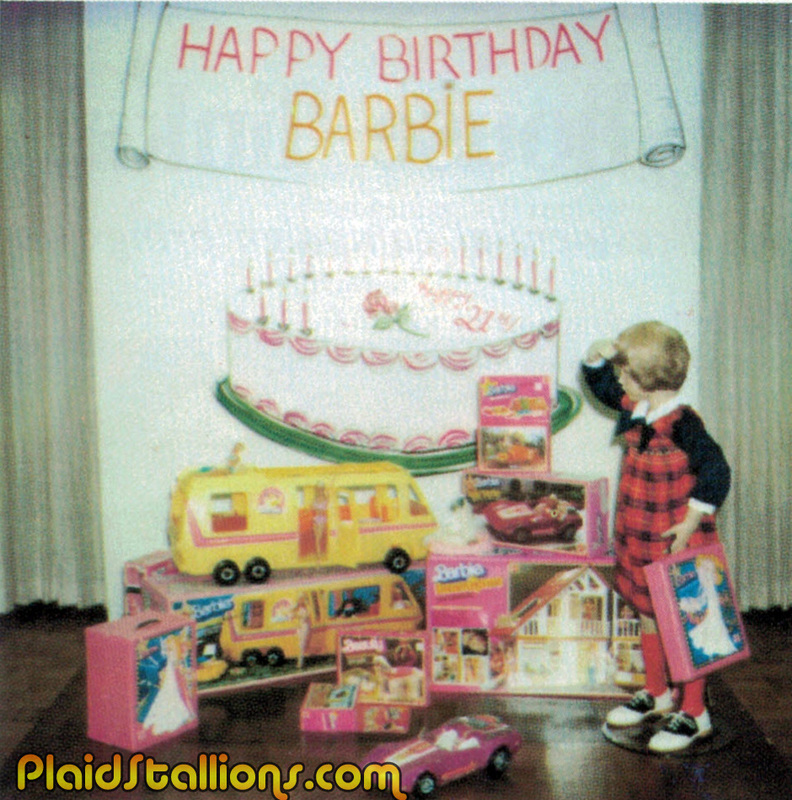 This Barbie display is in a store called Goldsmith's (which was in Memphis, TN) to help celebrate her 21st birthday in 1980. 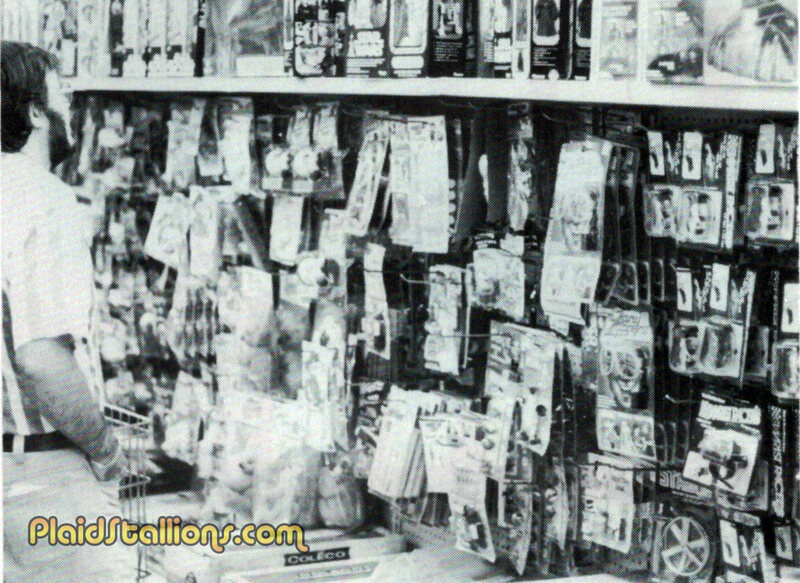 This photo is a Kaybee Toys in 1976, note the stack of Marx Electro Hockey games. Click on it for a larger view. 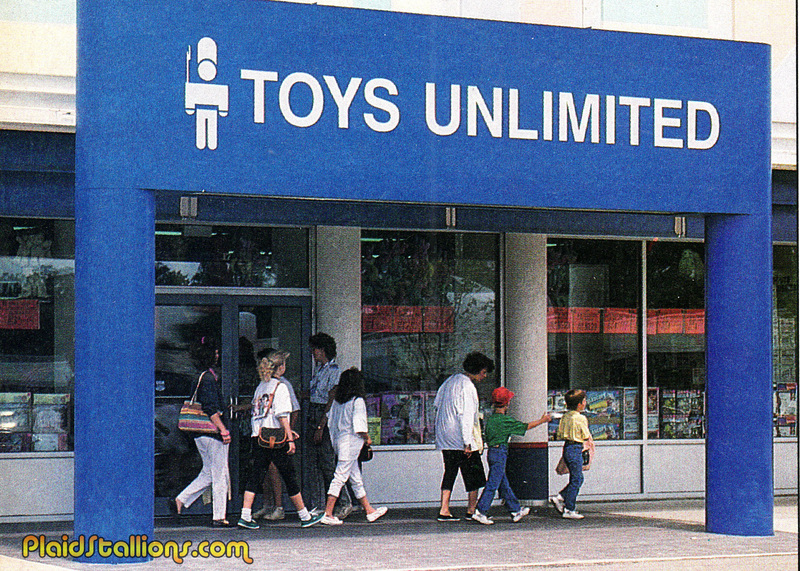 This is Toys Unlimited, a toy liquidation chain in the late 1980s. 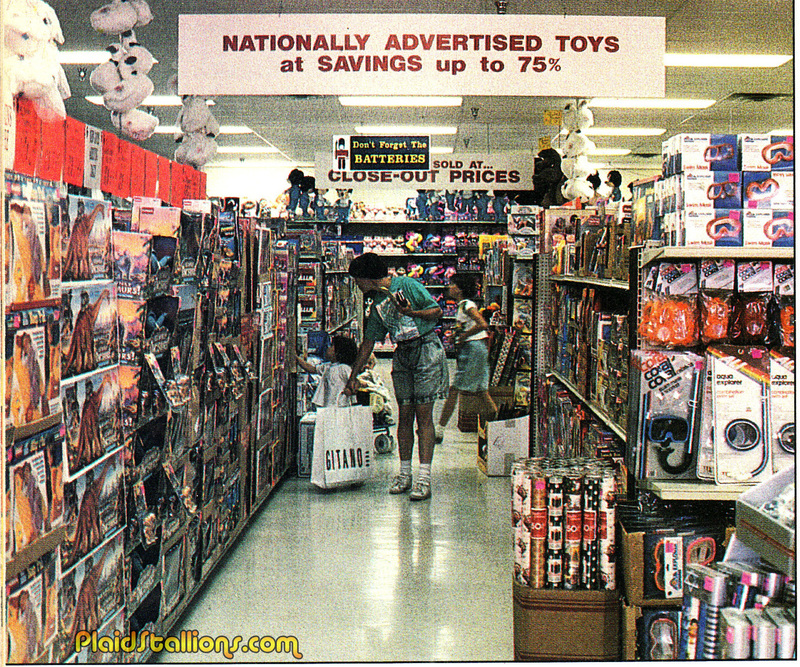 An aisle of a Toys Unlimited store in 1989, note the Tyco Dino Riders. 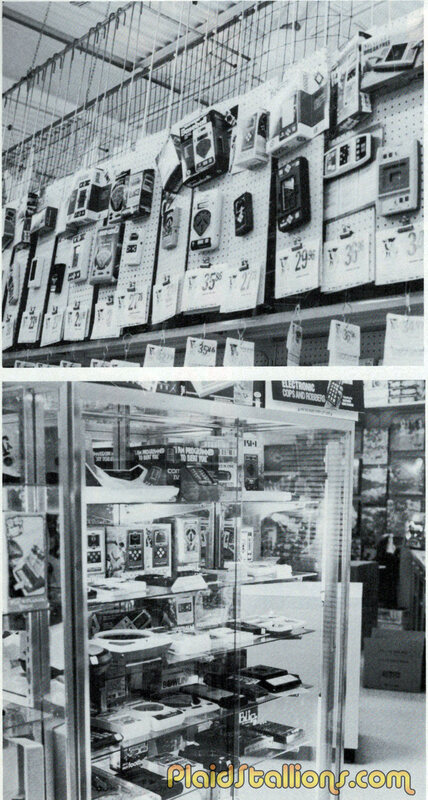 These photos were taken in a toy shop around 1980 and really show the huge impact that hand held electronic games had on our lives. 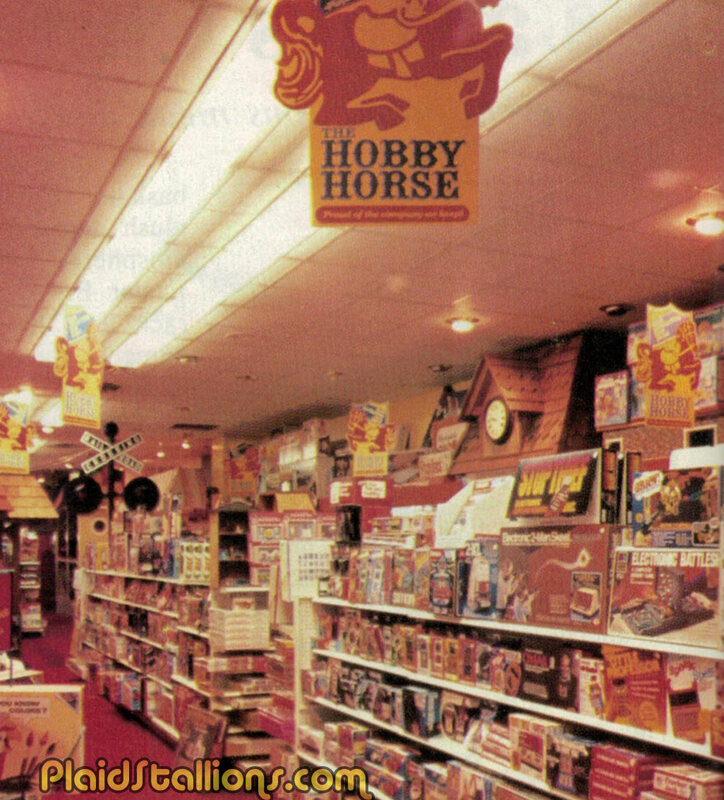 This a store called "The Hobby Horse" in St Joseph, Michigan, that I know we've featured before, their games aisle is littered with cool electronic hand held and board games, even Mego's 2-XL is present.. 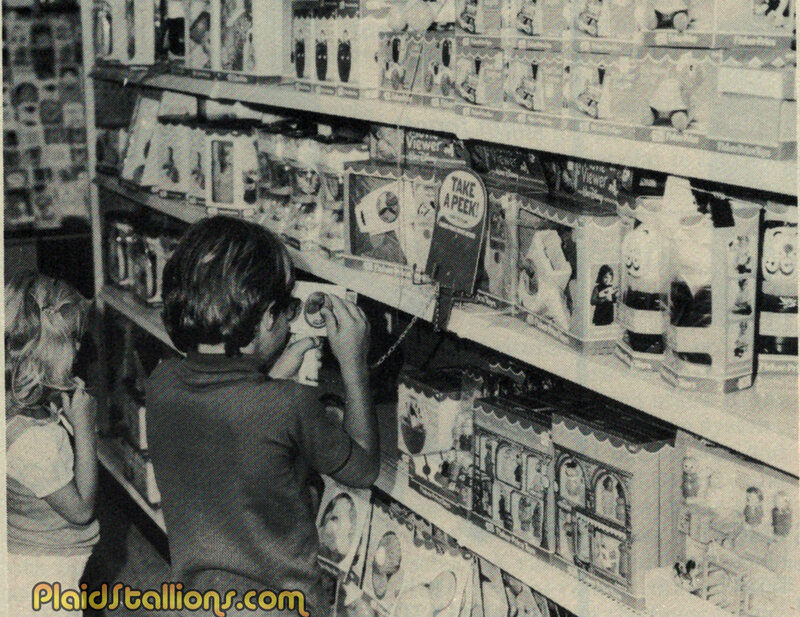 I love this shot of a Fisher Price Toy Aisle in 1980, I remember testing the viewer well into college. 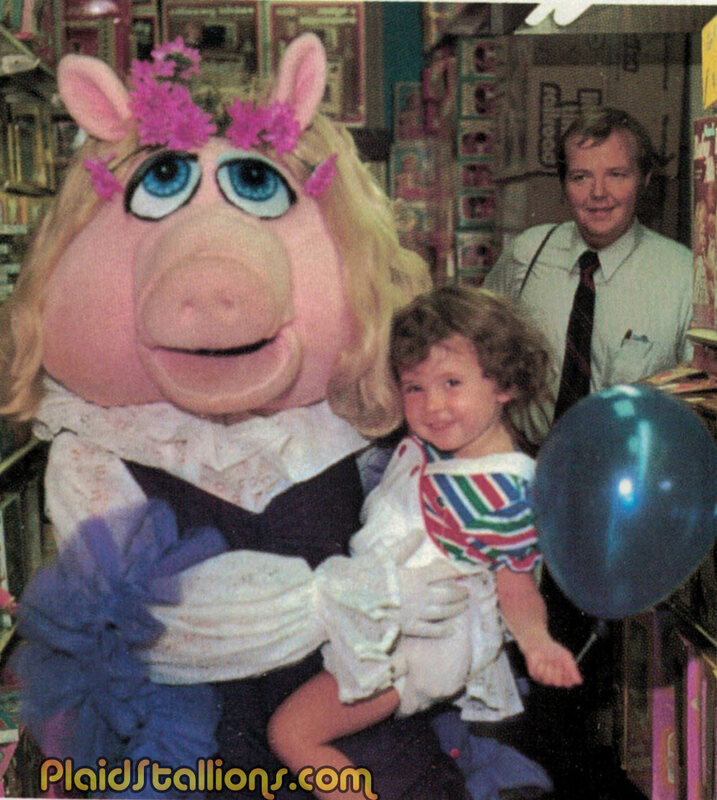 Note the gift set of Sesame Street Little People in the bottom right corner. This shot featuring Bloomingdales in 1977 is one of the many articles that popped up in 1977 to make mention of the "Sci-Fi Explosion" at Christmas that year. Kenner famously didn't have a lot to offer so Ideal S.T.A.R Team, Shogun Warriors, Hasbro Super Joe and even unsold Mattel Space:1999 toys had to do the trick. I love this picture. 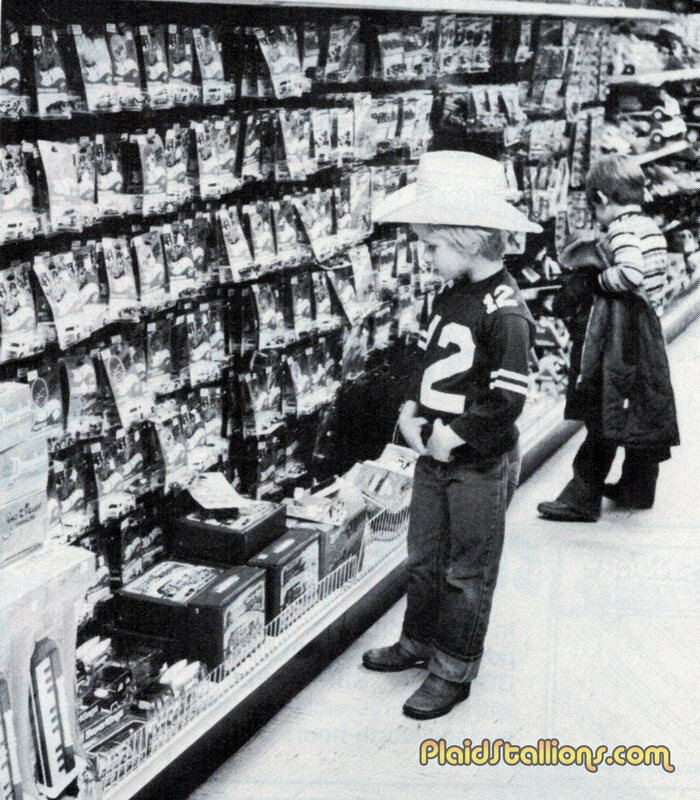 A little buckeroo surveys some Hot Wheels in this picture from 1981. 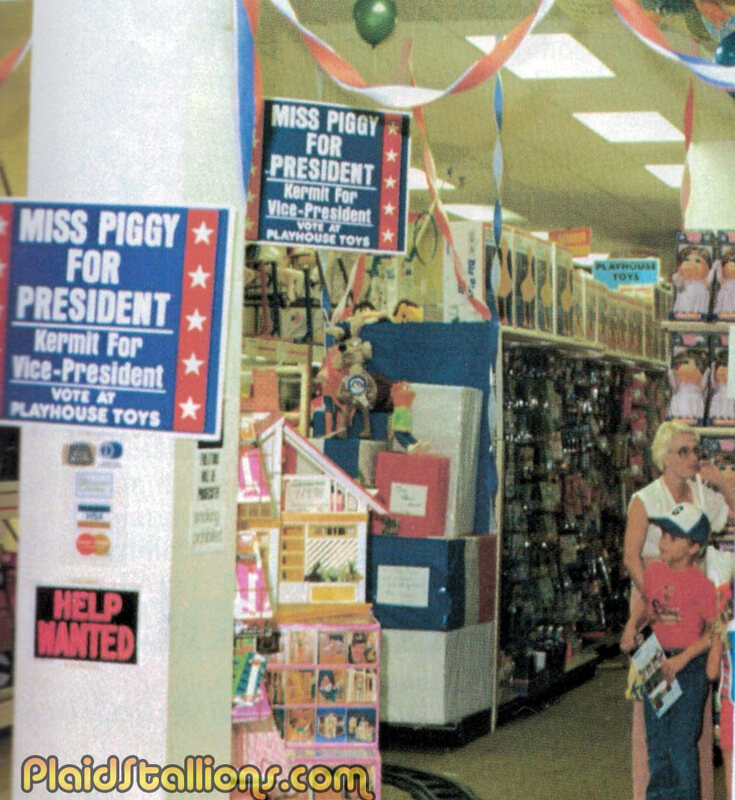 Playhouse Toys in Houston Texas ran a "Ms Piggy for President" campaign in 1980 and oh look, they're hiring..
Ms Piggy herself showed up to campaign, i am sure there is good political satire here but i'm too lazy to mine it. Playhouse Toys had 15 locations in 1980, I assume all in the Lone Star state. 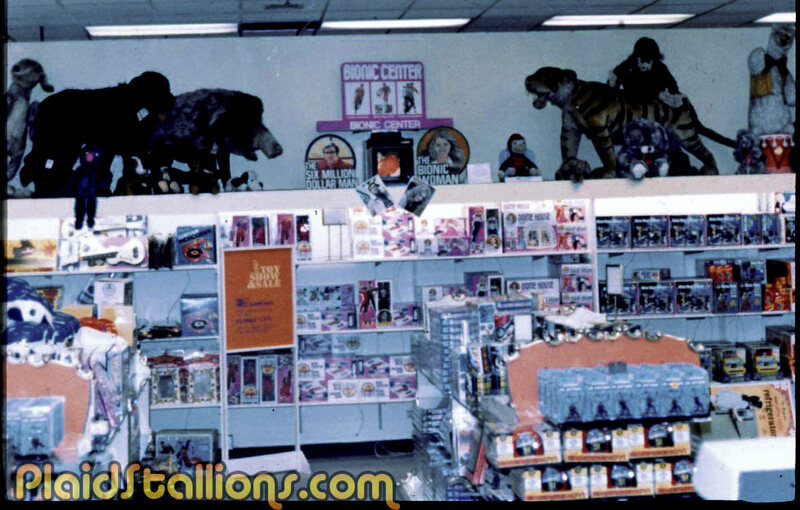 The Rack Toys section of a department store in 1980, loving the Kenner 12 inch Star Wars at the top. 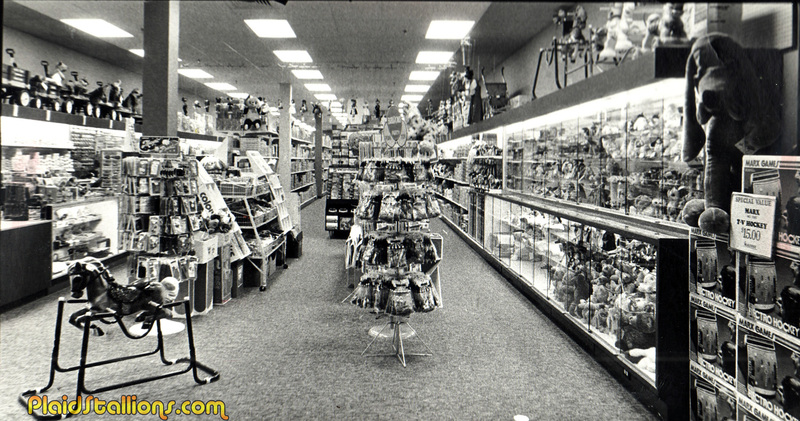 This is Toy Town in Lynwood Washington, a 12,000 squarefoot store that opened in 1979. I can't see a lot but the familiar shapes of the Renzi Hulk and Spider-Man banks are unmistakable. And if you haven't already, Volumes 1-17 are a pile of happiness, click the image for the full gallery.